Is your arduous item-onboarding process getting in the way of scouting new and interesting products from your suppliers? Do you spend less time coming up with great campaigns to delight your customers because you’re busy searching for product images formated as jpg files instead of pngs, or vice versa? Is product information getting lost within the chain of communication in your company? 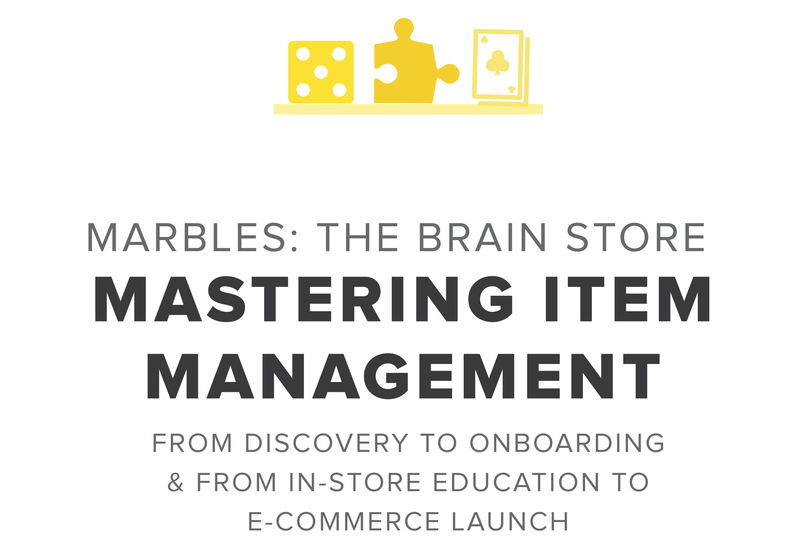 These are exactly the problems we explore in our case study on Marbles: The Brain Store. Angie Seamen, Marbles’ E-commerce director, was frustrated by the company’s outdated onboarding process which required the use of spreadsheets for product management. The system became inefficient and burdensome as the business grew: communication between departments became difficult and product information was often lost along the way, resulting in wasted time and redundancies for both Marbles and their suppliers. Salsify’s supplier portal feature simplified the process for suppliers, eliminating the need for nagging emails and spreadsheet chasing, while the specialized workflows allowed Angie to streamline the company’s process from start to finish. Once the new process was in place, company-wide visibility and automatic real time updates allowed employees to see the status of incoming products, note missing attributes, and automatically assign tasks, ensuring effective communication and improving overall efficiency throughout the business.